Will Google survive with its financials intact? This is the question absolutely no one is asking today after it was learned the company will be forced to pay a Pittsburgh couple $1 for trespassing. And yes, they are the Borings. Aaron and Christine Boring, of Franklin Park, sued Google back in 2008 for taking a picture of their home using the widely loved and maligned Street View feature found in Google Maps. 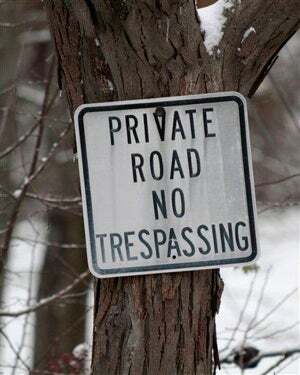 To snap the picture, the Borings said, the Google Street View car would have had to drive past a posted "No Trespassing" sign and continue on for 1,000 feet before seeing the house. "This is about right and wrong. Maybe my client and I are hopeless romantics, but I suppose some people said the same thing in 1950 about a male executive calling female staff 'sweetie/honey,' or African Americans just sitting a few seats farther in the back of the bus," [Gregg] Zegarelli said.